Continuing CHRISTINA THOMAS’S exploration of Conscious Connected Breathwork, from her book SECRETS – A Practical Guide To Undreamed -Of Possibilities. Here she explains 3 different ways to breath in a Rebirthing session, guided by an experienced Breathing Coach. 1. FAST and FULL : used in the beginning of a rebirth to really pump a lot of energy into the body. I usually have a client begin with wide-open mouth breathing, although it is ok to breathe in and out through the nose also. One may also begin with mouth breathing, then switch to nose breathing for a while and even back to mouth breathing again later on. It is not acceptable to breathe in through the mouth and out through the nose or vice versa. 2. FAST and SHALLOW : this is like speeding up the film through a movie projector ( faster speed ) and turning down the volume or intensity of the feeling ( shallow depth ). It is not necessary to be overwhelmed by an experience in order to fully experience and thus integrate it into your consciousness awareness. You may love your favourite music but you probably would not choose to have it playing so loud it would hurt your ears! 3. SLOW and FULL : This mode is utilized when you are experiencing something that you want to fully enjoy or absorb. It is sometimes used at the end of a breathing session if you get into a very joyful, loving space and want to feel every last bit of the feeling. ” The Rebirthing process involves learning to breathe in such a way as to release physical tension in the body, clearing the mind of negative thoughts and limiting conclusions reached about past experience, and accepting the spiritual joy and light that result when illusions about ourselves are cleared away. 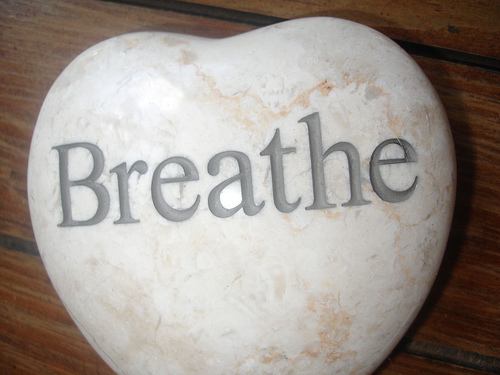 Rebirthing is one of the most powerful tools for breath mastery of which I am aware. Rebirthing is the science and art of increasing the safety you feel in being alive in your body. This safety leads to a sense of inner peace, abundance, pleasure and intimacy. Only by increasing this sense of inner safety can we truly relate to others without fear and defensiveness. This is the key to changing the course of survival on our planet”. Thanks Renee – Rebirthing is now on a rebirth around the world after a decade of lying low when early trainers rested, got burnt out or changed viewpoints. Now science is backing up breathwork as next level trainers like myself, move away from New Age concepts and approach into modern age interests and demands. Even after 20 years the subject still enlightens me. Rebirthing has changed my life in so many ways- I’m more relaxed, have less fear and more strength. My curious nature always propells me to understand more about the magic of rebirthing and what it provides us.